On the state highway 464 to Spilimbergo. 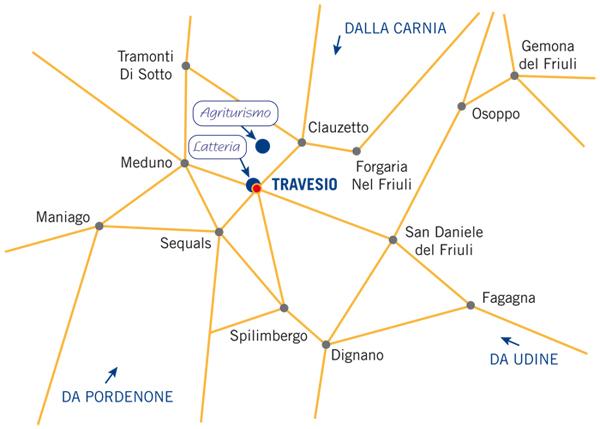 Form here continue in direction to Maniago, than change direction to Lestans and reach Travesio. Following the state highway 251 arriving in Maniago, continue to est and turn in the state highway 464, and reach Travesio. From Ampezzo cross state highway 252, go through “Passo of Monte Rest” and enter in the high Tramontina Valley, go on to Meduno and arrive to Toppo di Travesio.